If you’ve been to multiple weddings over the past couple years I’m sure you have heard similar songs playing throughout the day. I am the first to say that I love all of them, but I do have a soft spot for something different. Choosing great music for your wedding ceremony is the perfect way to set the mood for your entire day. If a song with great lyrics makes you weak in the knees, check out this list of 10 unique songs for your wedding ceremony! 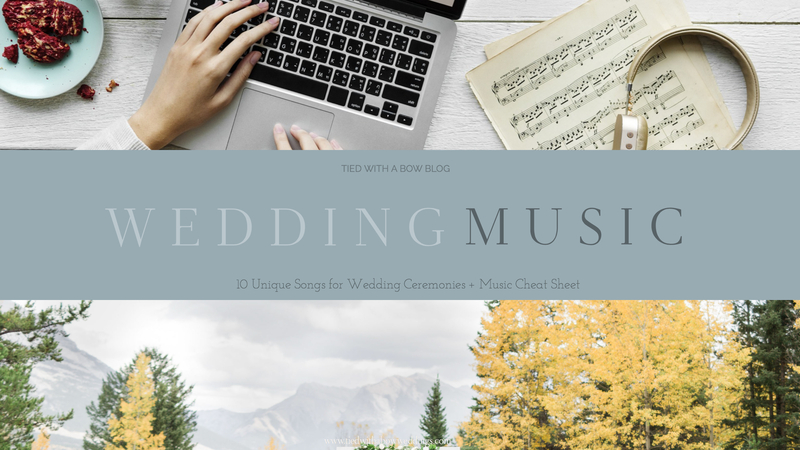 Keep reading because at the end is a wedding music cheat sheet to help you keep track of all your music selections! Feeling overwhelmed with selecting all the music for your wedding? 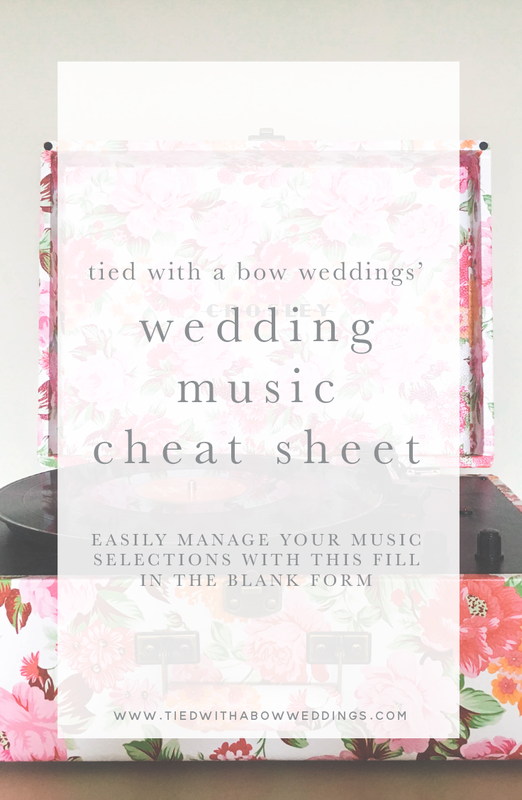 My Wedding Music Cheat Sheet is the perfect way to choose music for every minute of your day. Select the image below to download a copy of my editable PDF for you to stay on top of every music selection from beginning to end! Easily manage your wedding day music selections with this editable PDF form! Fill it all in at once or as you go!